The Npower support team is on the process to announce 2018 Npower TAX/VAIDS shortlisted Candidates via N-power portal.Take note that the 2018 Npower TAX/VAIDS Pre – selection and screening process is ongoing. 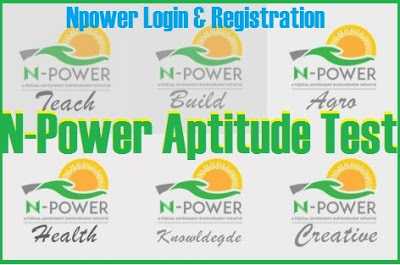 I am Using these medium to let all N-power TAX/VAIDS candidates who successfully submitted their N-power application online during the recruitment exercise and took their N-power TAX/VAIDS assessment test successful of the current updates. The 2018/2019 pre-selection exercise of Npower TAX/VAIDS successful applicant has started across the country. Meanwhile, it is reported that a minimum of seven thousand, five hundred (7,500) applicants will be selected to encourage non-compliant and partially compliant taxpayers to voluntarily declare their correct income and assets. you can Check N-power 2017 list via http://www.npower.gov.ng/n-tax.html then Search for your name if you were among.